Ascent was awarded Green Mark Platinum Award, the highest honour for a “green building” accorded by the Building Construction Authority (BCA) for its environmental design and performance. One of the sustainable features of the development is the use of Building-integrated Photovoltaic Technology (BIPV) on the facade to generate electricity, reduce solar gain and increase energy efficiency. The integrated business and retail development at Singapore Science Park 1 comprises of seven storeys of large contiguous workspaces and a retail block. It will provide integrated and interactive spaces with a focus on human-centric scale and design. 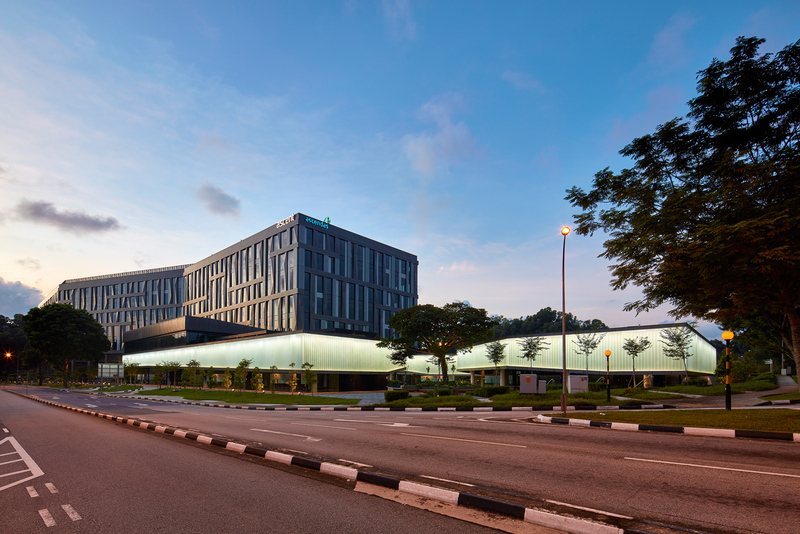 Capitalising on its proximity to Kent Ridge Park, the campus-like environment encompasses lush green landscaped surroundings which stimulates creativity and collaboration.